J.B. 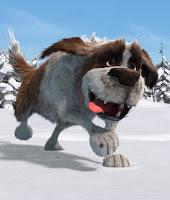 Spins: Sundance ’16: Snowtime! Luke’s bugle is more than just a horn. It is his chief remembrance of his father, a soldier fallen in an unnamed battle. His proficiency also impresses his classmates enough to be appointed general of one of the teams in the proposed snowball war. Unfortunately, his crushy clumsiness around Sophie, the attractive new girl in town, inadvertently pushes her into becoming the opposing general. Although Luke’s army has superior numbers, Sophie’s side has all the advantages. She has aligned herself with the mild-mannered Piers, his egghead best friend Frankie (a.k.a. Four-Eyes), and his big, slobbery St. Bernard Cleo. She also has her bratty little sister Lucy, whether she wants her or not. Thanks to Frankie’s remarkable design, Team Sophie builds a nearly impenetrable snow fort. However, Sophie and Luke’s mutually-denied mutual attraction will create divided loyalties. As the war rages on, escalation becomes dangerously inevitable, as those who have seen the French Canadian live action, anti-war catch-phrase-inspiring source film La Guerre des Tuques will know full well. Granted, Pouliot & Brisson maintain the same tragic conclusion, but war sure seems like a jolly good time up until then. Frankly, the tone of the film is mostly like Tom Sawyer or The Great Brain, which is not a bad thing at all. Far from it, in fact. Be that as it may, Snowtime! manages to be both a rollicking and sophisticated children’s film. Sophie’s leadership role is also somewhat progressive, as another girl in town duly notes, but Pouliot & Brisson do not belabor that message either. 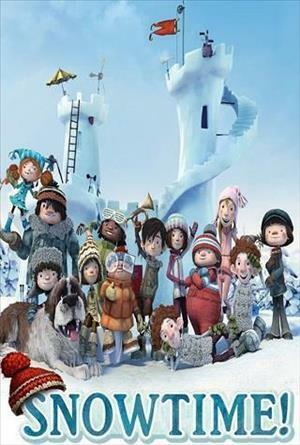 Highly recommended for animation fans and families who can handle a somewhat downer ending, Snowtime! screens again in Park City this afternoon (1/24) and next Saturday (1/30) as part of this year’s Sundance.